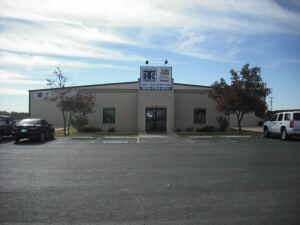 Founded in 1976 after being purchased on the Potter County court house steps by E. Ross Flowers the company became Amarillo THERMO KING and later West Texas THERMO KING proudly serving our customers throughout the Texas Panhandle (Amarillo), South Plains (Lubbock), and Permian Basin (Odessa). 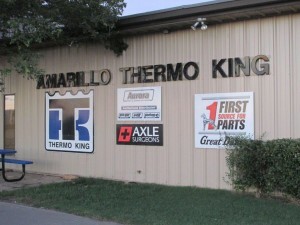 Each location is a fully Certified THERMO KING Sales and Service facility. Our teams of certified THERMO KING Technicians are trained to work on all types of THERMO KING and Carrier units; in addition our affiliation with Red Dot air conditioning allows our dealerships to service all your cab air conditioning parts and service needs. We also build replacement OEM cab air hoses. 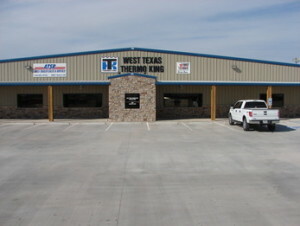 In addition to THERMO KING each location in Amarillo, Lubbock and Odessa are also a Full Service Trailer Repair facility, able to handle any repair from axle repair, ABS brakes, MAXON lift gates, to complete trailer rebuild, we have your trailer needs covered. Through our Axle Surgeon franchise in Amarillo, we are also able to perform axle repair or replace axle spindles, on trucks or trailers wherever the break down occurs. If it’s parts you need, we can handle that also! We’re authorized dealers for Great Dane first source for parts, Aurora, and Red Dot. If it’s bolt on blowers and vacuum pumps you need, we are a certified dealer for Paragon Blowers and Fruitland Vacuum pumps in Odessa. Through our Axle Surgeon service department we also offer Portable Line Boring using Climax portable boring. We can bore as small as 1.5 inches up to 12.0 inches. Portable Line Boring for concentric bore repair of holes on backhoes and backhoe buckets, loaders and loader buckets, dozers, excavators, and tractors.